Get your skin more tight! The unique FDA-approved nonsurgical procedure in the world! The procedure makes your skin more tight and elastic! You can see the results in 1,5 months after the procedure. Duration of the procedure varies between 15 and 45 minutes. In order to maximize the results it is recommended to perform 3-5 procedures at 3-4 week intervals. In case of very loose skin you may need some additional procedures. To maintain the results we recommend you to repeat the procedure 1-2 times in a year. 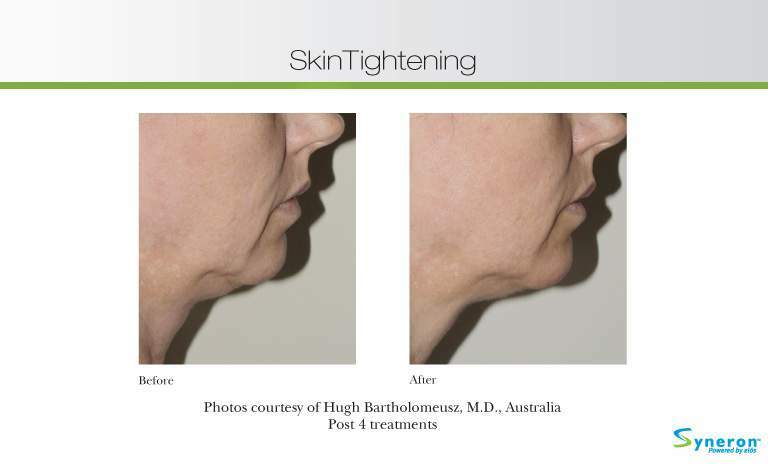 The skin tightening procedure can be combined with other ELOS™ and Sublative™ procedures, as well. Before the ELOS™ skin tightening procedure you will have a consultation with a laser specialist who will determine your skin type, test your skin reaction to an energy pulse and examine any possible contraindications to the procedure. The procedure is based on the ELOS™ technology which affects dermis with the combination of infrared light (IRL) and bi-polar radio frequency. 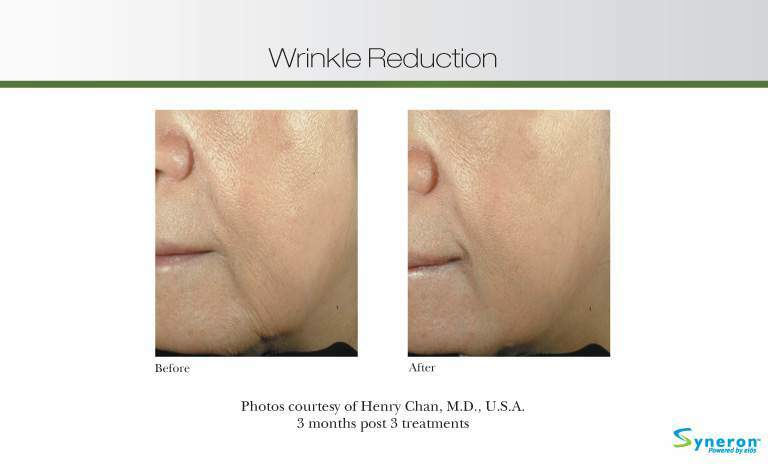 Changes in skin texture, like formation of wrinkles, sagging of skin and losing elasticity, results from the lessening of collagen and elastin in dermis. The procedure stimulates the long-term collagen synthesis and tightens the existing collagen fibres, providing immediate tone. Due to accumulated heat skin tissue tightens gradually, and finer and deeper wrinkles become more even and soft. As a result of tissue contraction it improves the elasticity of forehead, neck, chin and cheek area and keeps improving thanks to more intensive collagen synthesis. With infrared light dermis is heated up to a depth of 1-3 mm which suits to all types of skin. Heating tissue improves the function of fibroblast (connective tissue cells) which in turn stimulates the production of collagen. Infrared light together with bi-polar radio frequency allows to heat dermis up to a depth of 4-5 mm which results in collagen fibre contraction. Tissue contraction is visible within few minutes. Skin is more tight and smooth.